Whether you have goals to achieve, resolutions to keep or just plain want to knock out that ever-growing to-do list, being more productive with your time is crucial. Do you hit the ground running every day, doing so much busy work that you feel like nothing gets done? 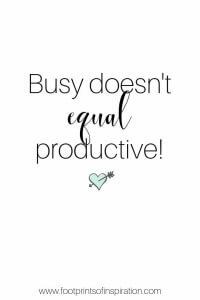 I’m sure I don’t have to tell you that busy does not equal productive. It’s challenging to get a rhythm going and accomplish what needs to be accomplished when you’re hit with so many interruptions and small emergencies throughout the day. The trick is learning how to handle those emergencies and setting up a system to help you work more productively. For your convenience, this post may contain affiliate links. For more information, see our privacy and disclaimer page. Since I started my own business, I’ve had to learn the hard way how to be more efficient with my time. Working full time from home, part-time outside of the home, keeping up the house and laundry (which I fail at regularly), taking care of both household and business finances, and carving out time with my family…well let’s just say it’s definitely a challenge. Busy does not equal productive. There are a lot of things you must do in your day because let’s face it if you don’t do them, then they won’t get done! So taking the time to prepare, organize, and put systems in place is crucial to your success. And let’s be honest, we all want a successful, more peaceful day and definitely want to stop flying by the seat of our pants! 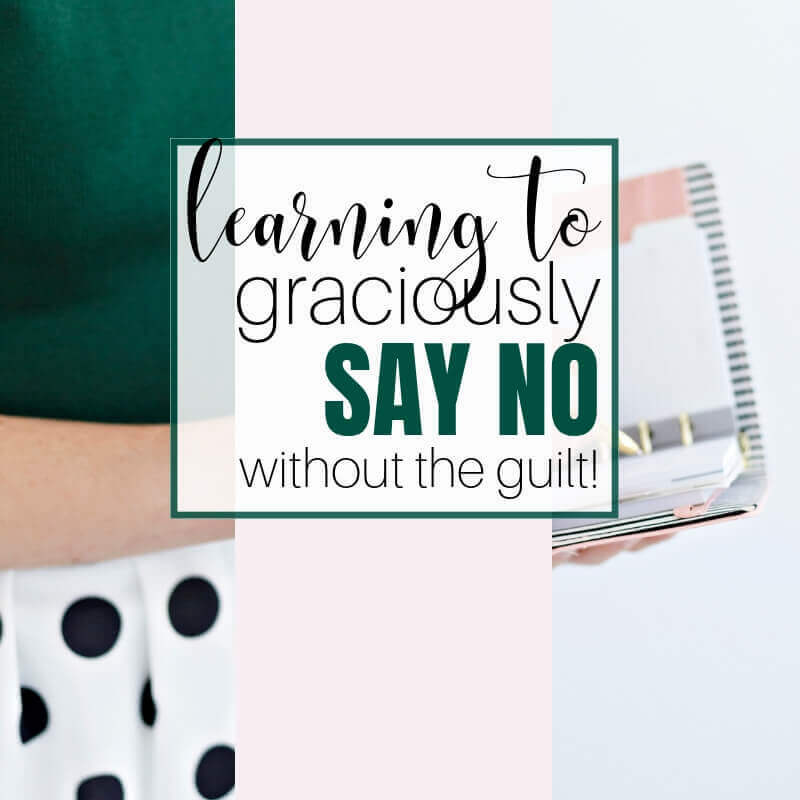 You have the tasks of keeping up the house, perhaps you work outside of the home, have children that have to be taken to their many activities throughout the day, dinner, homework, laundry…well the list goes on and on, doesn’t it? 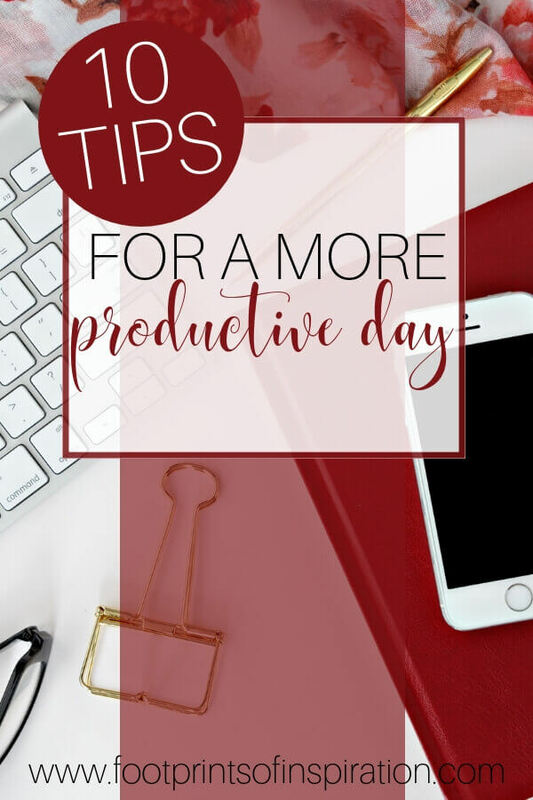 With an agenda like that, every moment counts, so I’ve put together 10 Tips to a more productive day to help you crush your day like a boss! If you follow these simple steps, you’ll begin to see how easy it really is to knock out that to-do list and actually go to bed at night feeling like you conquered that mountain instead of feeling beat down by every mundane chore that was thrown at you. Along those same lines, set a schedule so that you are up at the same time every day. Nothing kills a productive day like a sporadic schedule, so make it a routine to get up at the same time every morning. Start your day by getting ready – even if you work from home. Oh, I know how tempting it is to stay in your pajamas all day. In fact, I admit, I still do from time to time. But I highly recommend you save that as a treat to do on special occasions, not an everyday occurrence. I realize it’s just a mindset, but this is what we’re doing…creating a mindset to help you be more productive. You’ve heard of suiting up with the armor of God, right? If not, simply put, it’s bathing yourself in God’s truth every morning, building a solid foundation on everything He is to combat what the enemy throws at you. 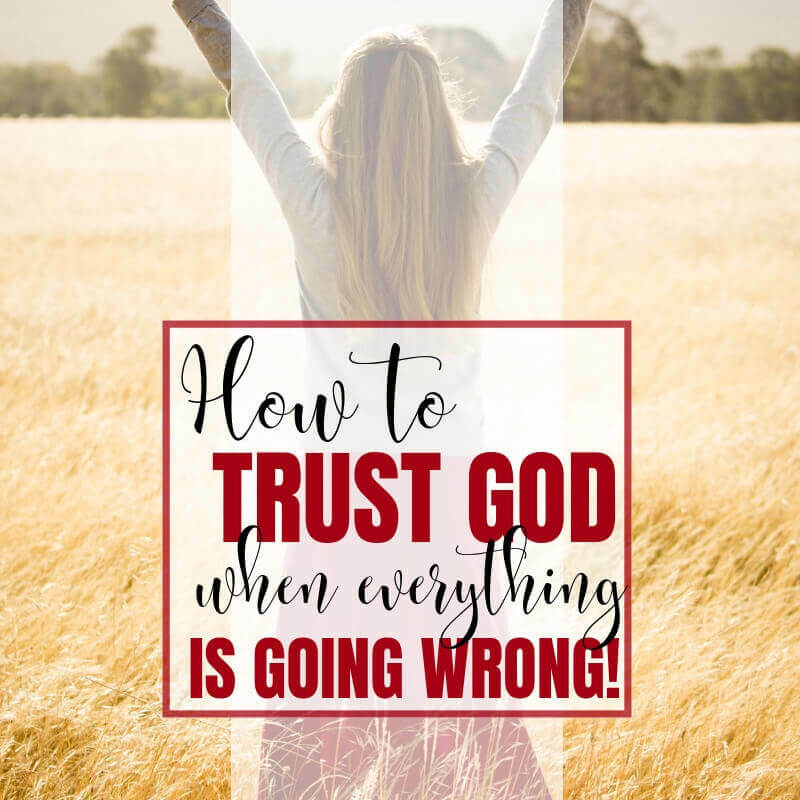 Life throws so many challenges, emergencies, and downright difficulties at you all day long and if you haven’t started the day suiting up with His armor, you’ll find yourself lacking, believing the lies, and allowing them to shape your day. 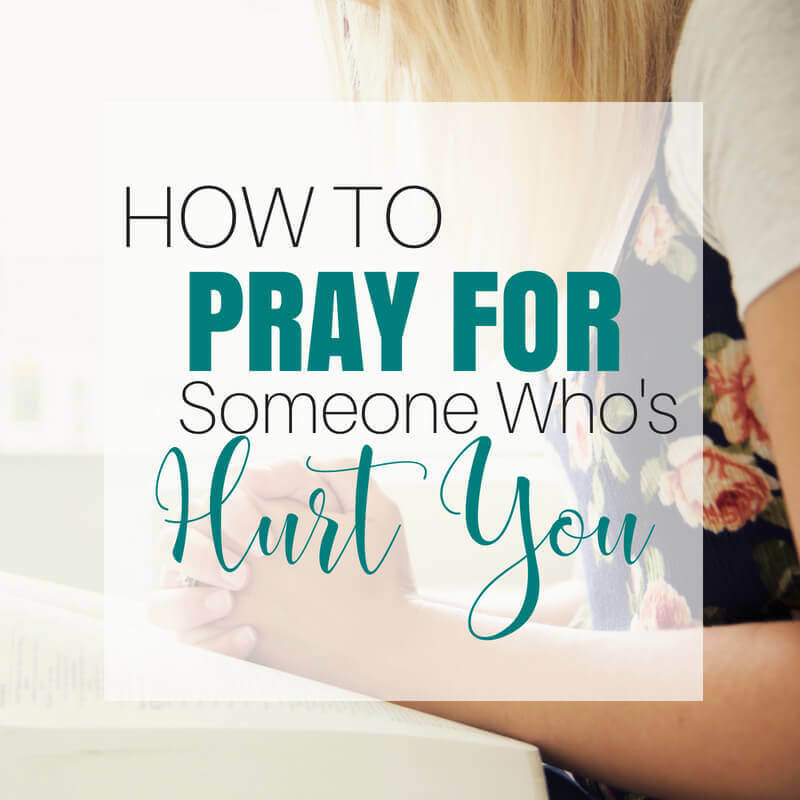 In fact, if you need help with this, be sure to check out Finding Peace in the Mess – A 30-day journey to unshakeable hope in the valleys of life. 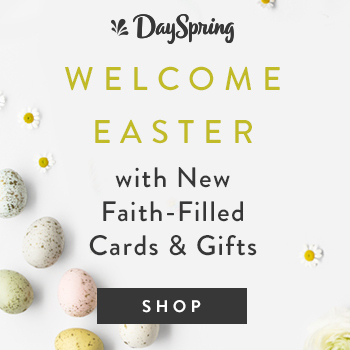 It’s a great way to start your day… immersing yourself in God’s truth! If you’re working from home or doing some sort of office work, find a designated workspace instead of sitting in the recliner or the kitchen table. When it’s nice outside, one of my favorite places to work is on my front porch, however, I never seem to be quite as productive as when I’m sitting at my desk where I have everything laid out right in front of me. Find the place where you feel most productive in your house and set up shop there. If it’s in a particular room, I highly encourage you to take some time and get it organized so that when you walk in, you’re not having to move things around to start your day. You’ll simply walk in, sit down, and get right to work. Planning is probably the most crucial step in having a productive day so don’t skip it! Spend a few minutes the night before or first thing in the morning to plan out what needs to be accomplished. Determine which tasks are important (going to get you closer to your goals), what is urgent and schedule accordingly. Then time block your way through it. Don’t forget to schedule in little breaks for yourself as well! Ah, those pesky interruptions and minor emergencies that come up throughout the day. You already know they’re going to happen, so rather than waiting, block out time in your schedule to take care of them. This, my friend, is learning to live more intentionally. Working proactively rather than reactively. Things like phone calls, text messages, email, and social media notifications. Most of these are not true emergencies. Let that phone call go to voicemail! Turn off the notifications so that you aren’t getting interrupted every time it chimes. Another trick is to set a specific ringtone or text message notification for different contacts. Then when you hear it, if it’s not one of the kids or your spouse, don’t even look at it. Once you’ve completed the task you’re doing or during your allotted “emergency time,” simply check them and deal with anything that needs attention. I’m telling you when you start working this way, it completely changes how much you can truly accomplish in a day! In order for you to stay completely focused while you work, prepare your workspace. Have everything ready that you’ll need to complete the task so you won’t have to stop what you’re doing. Turn off all notifications on your phone and computer. Have a timer with you. Anything else needed to complete the task. The idea is to have everything with you so that you don’t have to leave until you’ve either finished your block of time or you’ve completed the project. Because if you’re anything like me, I’ll leave a room to grab something, see something else that needs attention and get sidetracked into one of those “squirrel moments!.” Next thing I know I’ve wasted a precious hour doing something that wasn’t even on my to-do list that day! For instance, let’s say you are wanting to declutter and clean one of your rooms. Put your phone away, have trash bags and containers available, have all your cleaning supplies with you, set your timer and get to work. Or perhaps your goal is to write a book this year. Go to your designated workspace where you know you’ll have no interruptions, take some water and snacks, have a dictionary and any necessary research with you, then turn off the notifications on your phone and computer, set your timer and get to work. By simply having everything prepared, you won’t have to waste precious time looking for what you need. You’ll just keep working until the job (or timer) is done. Have you ever read the book, Eat That Frog by Brian Tracy? It’s a great read on procrastination. The premise is that you take the thing you really don’t want to do, that thing you dislike the most and do it first thing in the morning. By doing this, you knock it out right away and everything else you have to do that day will be super easy to do. In other words, if you eat a frog first thing in the morning, everything else you have to do will be a “piece of cake” compared to sitting down and feasting on a frog. Keep your ultimate goal front and center. A goal is personal. It’s an emotional attachment to what you desire, so the best way to stay motivated and productive is to have your goals in front of you at all times. Create a vision board and/or have them written in your day planner so that you see them and stay attached to them, so that you do everything you can to make them happen. 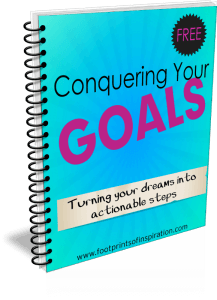 If you need help setting goals, be sure to download our FREE Goal Crushing Action Plan. You’ll find it in our community library along with all our other FREE resources. Simply subscribe to our newsletter below to gain instant access. Routine is defined as a sequence of actions regularly followed; a fixed program. As with anything in life, the more you do something, the easier it becomes for you. And when you no longer waste the mental energy it takes to perform a task, it leaves your brain free to completely focus on what’s truly important in your day. What time you get up in the morning. Social Media – only checking it at designated times throughout the day. Evening routine – For instance, setting out your clothes for the next day, getting your coffee ready to go, putting in a load of laundry and setting the timer so that it is finished when you wake up in the morning, packing your lunch. Connecting with friends and family – simply set aside time every day (or once/week) to reach out to someone. Create a routine that works best for you and makes it far easier to accomplish your tasks. 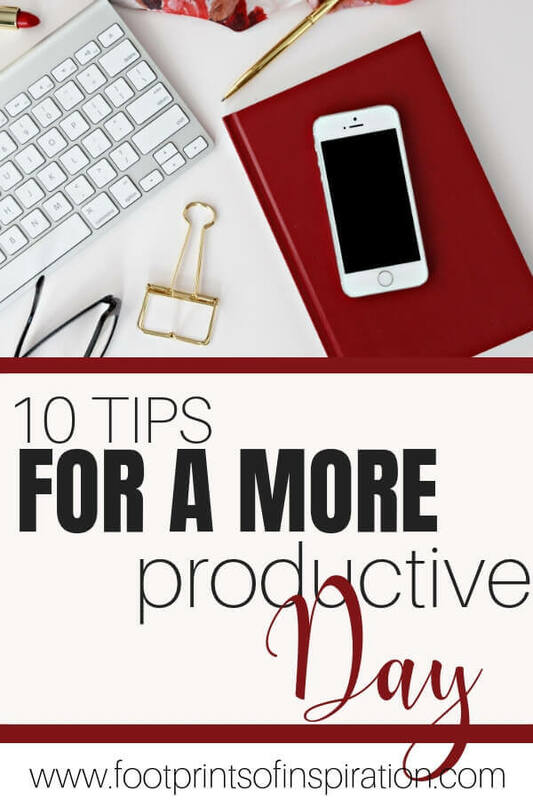 I have no doubt that if you implement these 10 tips for a more productive day, you’ll see an increase in your productivity, start accomplishing those goals and resolutions and begin to easily knock out that to-do list. Once you become a master of your time and start crossing off your list of tasks every day, you’ll begin to see just how easy it is to go after those “one-day” dreams. You’ll no longer just dream about them, but will actually start living them! Thanks for joining me today! If you have a great productivity tip, I’d love to hear it! Simply share it in the comments below. And be sure to take a look around the blog before you go. You can start with our “other great posts” section below. P.S. 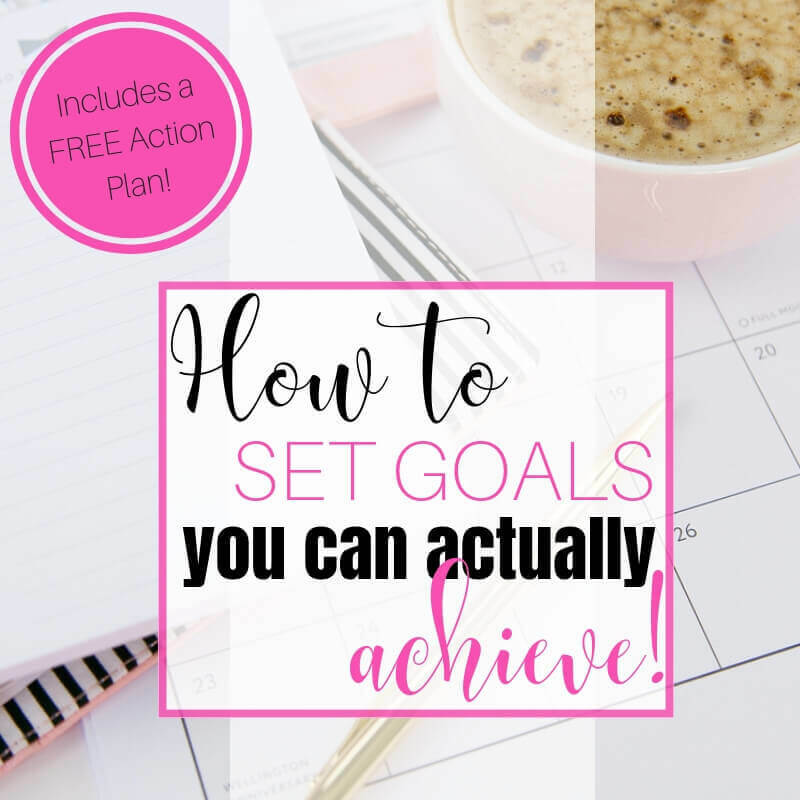 If you’re looking for more help in reaching your goals, be sure to sign up for our free e-course, “Conquering Your Goals – Turning your dreams into actionable goals!” I’ll walk you step by step on how to set goals and how easy it is to accomplish them. Yes! I realized that even just putting my hair right helps my motivation so much! And then my bullet journal with a checklist and habit tracker has increased my productivity so much this year! It is so true, Mary! Even the little things can make a difference in your motivation level! 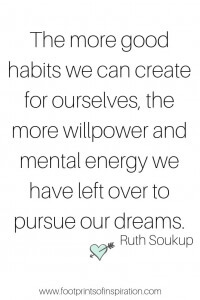 And a habit tracker is huge! It gives me so much motivation to check that off every day! Thanks so much for stopping by the blog and taking time to reach out! So glad to have you here! Love these 10 tips, Tammy. Especially the plan for interruptions. I would never thought of that but it’s kinda clever. Going to pin this on Pinterest. My busy moms would love this. Hi Nicole! So glad to have you all the way from Norway! Thanks for stopping by the blog and taking the time to reach out! Planning for interruptions completely changes the way your day plays out for sure! It will definitely improve your ability to focus and increase your productivity! Thanks Tammy. I was very good at doing this when I worked and even for the first few years after going on disability. Then things seemed to get overwhelming and I got off track. This reminds me of what I already knew but wasn’t doing. I needed the prod in the back. Thanks. Hi Deb! Thanks for stopping by the blog and taking the time to reach out. I’m so glad it was the nudge that you needed! When you’ve accomplished something in the day, it really makes a difference in how you feel! Thanks, Diona! I’m so glad you like them. Anything we can do to keep us on point!